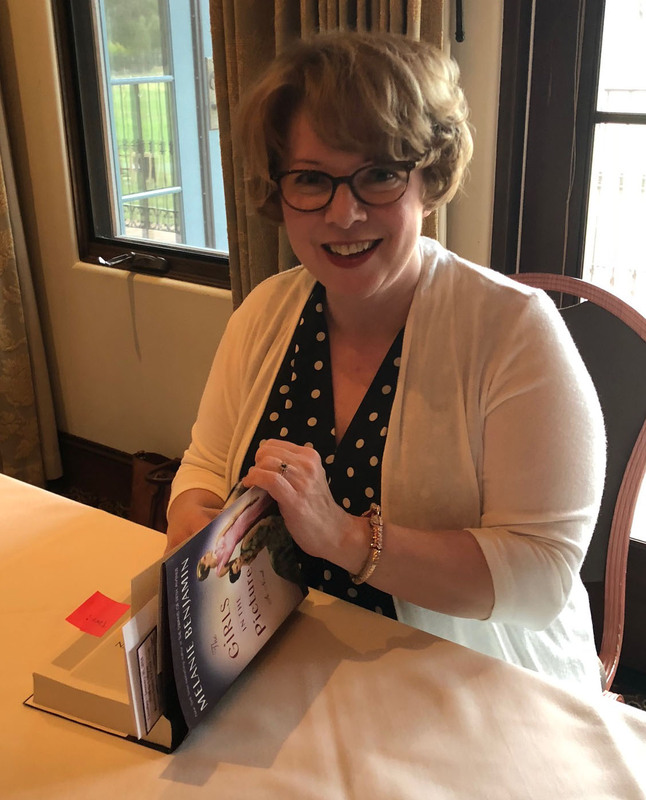 RANCHO SANTA FE — Fans of bestselling author Melanie Benjamin, regarded for her literary work in historical fiction, had the unique opportunity to meet the writer at a private luncheon at the Rancho Santa Fe Golf Club. The sold-out Jan. 30 event was hosted by The Rancho Santa Fe Library Guild, in partnership with Warwick’s bookstore. Benjamin spoke about her newest novel, “The Girls in the Picture,” which had been released two weeks earlier. The afternoon event was also a fundraiser to help support the Library Guild. Benjamin said when she was growing up the library really exposed her to a variety of books. Now, on a national book tour, Benjamin is sharing how “The Girls in the Picture” is about the feminist friendship and collaboration between film actress Mary Pickford and Francis Marion, a famous screenwriter and Pickford’s best friend. Taking part in the event was guild President Art Yayanos, who described Benjamin as an interesting and significant author. What intrigued Yayanos about the book was Pickford, who was once married to Douglas Fairbanks. Fairbanks owned property in the Rancho Santa Fe area, and the couple spent much time there. Rich with history, this locale is now known as Fairbanks Ranch. “Mary Pickford is a personality with local connections,” Yayanos said. Benjamin, who lives in Chicago, said the tour was timed with the book’s release. Following her visit in the Ranch, she was headed to the Los Angeles area and then to Bellingham, Washington, for a radio show. Benjamin said she hopes that readers enjoy “The Girls in the Picture” because it’s centered around an incredible friendship between two pioneering legends of Hollywood. Benjamin was on hand for book signings before her presentation. She also fielded questions from guests who wanted to learn more about her novel and her as a writer.